We’re almost there! 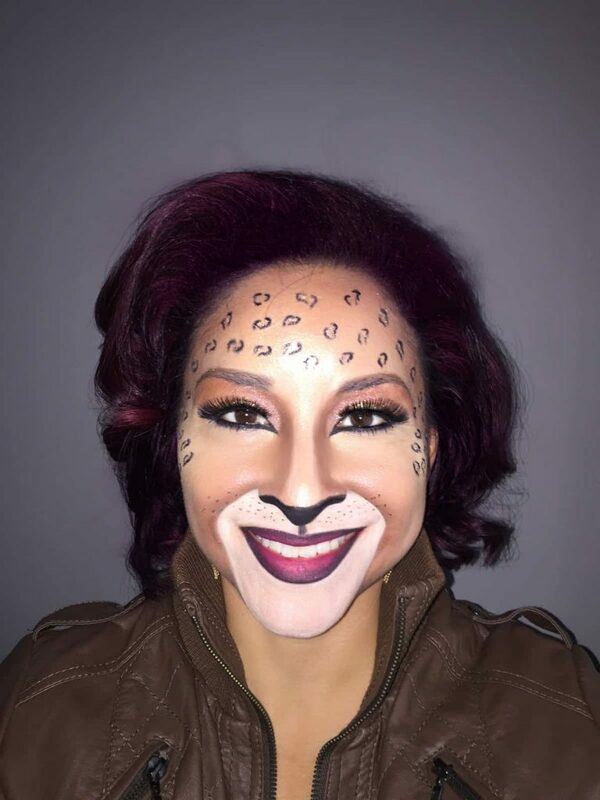 We are sharing a step by step jane iredale blog post of another last minute Halloween makeup look. We have everything you need to create it…let us know if you try it! A last minute Halloween makeup look! 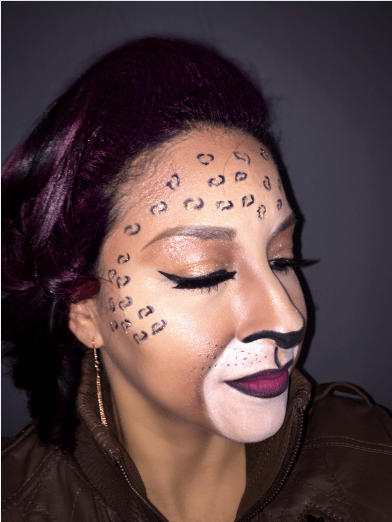 Halloween is this weekend and we’ve got a gorgeous, last minute look from our Global Educator, Natalie using all jane iredale makeup. Add a pair for cheetah ears to complete your look! Apply Smooth Affair for Oily Skin to your entire face. Apply Glow time BB Cream in your shade all over your face. Apply the bronze shade in Moonglow Bronzer to your hairline, under your cheekbones and from the inner corner of the brow following your noses natural edges using the Eye Shader Brush. For highlighting press Gold 24-Karat Gold Dust on the bridge of your nose up to the center of your forehead. Apply the bronze shade in Moonglow Bronzer on your entire eyelid from lash line to brow. Using the White Eye Pencil, smile, then start coloring from the outside of your lip line to your smile lines and down to your chin. To create dimension, frame the edge of the all-white area with the bronze shade in Moonglow Bronzer using the Smudge Brush. Color the tip of your nose black with the Basic Black Eye Pencil. From the center of your nose to your cupids bows draw a straight line using the Basic Black Eye Pencil. Line your lips with the Basic Black Eye Pencil. Fill in the center of your lips with Berry Lip Liner. Fill in your brows as you normally would. Using the Basic Black Eye Pencil, line your bottom lash line and smudge with Ebony Pure Pressed Eye Shadow. Line your upper lash line with Black Liquid Liner creating a long, winged line on both the inner and outer corner of your eyes. To create the leopard spots press Gold 24-Karat Gold Dust where you want the spot using the Smudge Brush. Trace the edges of the spot with Black Liquid Liner creating any shape you like. Add PureLash Extender and Conditioner, followed by Jet Black PureLash Lengthening Mascara.